single, unified market in Africa to increase trade, create more jobs and reduce poverty. 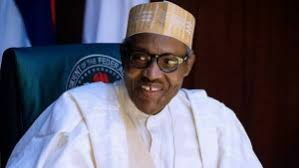 Buhari made the call while presenting Nigeria’s position in favour of the report on the establishment of a Continental Free Trade Area (CFTA) and related issues during the 30th Ordinary Session of the Assembly of Heads of State and Government in Addis Ababa, Ethiopia. According to Buhari, while the stakes in setting up CFTA are very high, the benefits are wide-ranging and significant. “The primary objective is economic, namely, for trade in goods and services on the continent. A single, unified market would lead to a comprehensive and mutually beneficial trade agreement among AU member states. If we integrate Africa’s market for trade in goods and services, we will not only double intra-African trade but also negotiate with other regions or continents on trade matters,” he said.